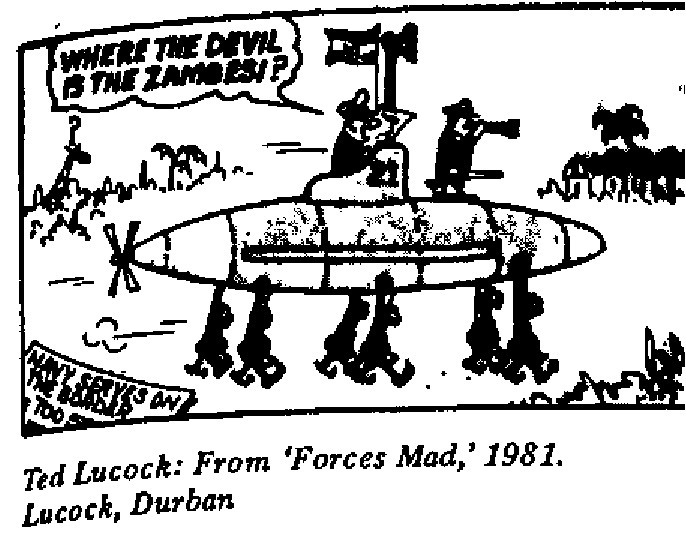 Home > Cartoons > Ted Lucock – Where the Devil is the Zambezi? Ted Lucock – Where the Devil is the Zambezi? Originally published in: Lucock, Ted. Forces Mad. Durban: Self Published, 1981.